Over the past 25 years Australian cult director Richard Lowenstein has established himself as one of this country’s most dynamic independent filmmakers. With four feature films to his credit, Lowenstein has straddled both period and art-film genres to give cinematic expression to the stories of everyday Australians and in doing so has consistently captured the cultural zeitgeist on film. Born and raised in Melbourne, Lowenstein cites “being brought up without a television, and being fed a diet of Japanese and European cinema and literature in order to make up for it” (1) as a primary childhood influence on his filmmaking. In 1979, Lowenstein graduated from Swinburne Film and Television School. Lowenstein’s graduate film, Evictions (1979), was a 30-minute short based on his mother’s Great Depression era tome, Weevils in the Flour, (2) which presented a powerful oral record of the experiences of ordinary Australians during the Great Depression. Through its deployment of documentary techniques and a rugged naturalism, Lowenstein created a vivid, cinematic snapshot of the social conditions that were present in Melbourne at a time when gross unemployment and State-aided evictions were rife. Evictions was awarded the Erwin Rado prize for Best Short Film at the 1980 Melbourne Film Festival, and marked the beginning of a longstanding collaborative relationship between Lowenstein and fellow Swinburne graduate, cinematographer Andrew de Groot, who also went on to shoot Strikebound, Dogs In Space (1986), Love Town (1990) and He Died With A Felafel In His Hand (2001) for Lowenstein. Lowenstein’s first feature film, Strikebound, was released in 1984. Utilising beautiful long takes and grainy film stock, Strikebound artfully recreated an emotion-charged mining dispute that took place in East Gippsland during the Great Depression, and captured the sociopolitical climate that gave rise to the Australian Communist Party at that time. Like Evictions before it, Strikebound was based on anecdotal oral histories from the 1930s which were committed to writing (3) by Lowenstein’s mother, the social historian Wendy Lowenstein. While both of these films belong to the Australian period film genre that gained popularity during the late 1970s and early 1980s, Strikebound notably goes against the grain of this tradition through having its protagonists become active agents of history, (4) who effectively change the social conditions of the world in which they live through collective action. Strikebound also features the first in a string of powerful female roles in Lowenstein’s films, in the form of the spirited character of Agnes Doig (Carol Burns). Followed by Anna (Saskia Post) in Dogs In Space, Angie (Fiona Ruttelle) in Say A Little Prayer, and Anya (Romaine Bohringer) in He Died With A Felafel In His Hand, Agnes Doig is just one of a host of strong, smart, self-assured female characters in Lowenstein’s films, and is emblematic of the strength of his female characterizations. Strikebound received nine Australian Film Institute (AFI) award nominations, (5) taking out the AFI award for Best Achievement in Production Design. 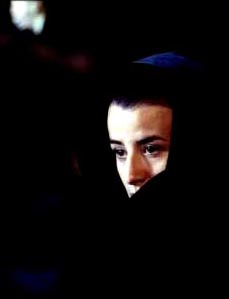 Strikebound also won the Jury Prize at the Karlovy Vary Film Festival in 1985, and received Official Selection for Critics’ Week at the Venice Film Festival. During the 1980s, Lowenstein also launched a highly successful and prolific side career in music video production, directing some of the most iconic Australian music videos of that decade for bands including INXS, Hunters and Collectors, and Crowded House. On the back of his success within this field, Lowenstein went on to make a number of long form music videos and live music documentaries. These included the 50 minute featurette, White City (1985) for Pete Townshend of The Who, the live concert documentary Australian Made (1987), and the 1989 Australian tour documentary Love Town for U2. 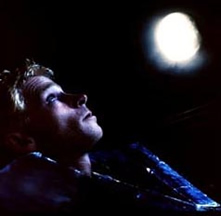 Lowenstein’s second feature film, Dogs In Space, was set against the backdrop of Melbourne’s late ’70s punk rock scene, and placed its focus on the young, inner city world of the shared household: a melting pot of hippies, addicts, student political activists, and punk musicians. 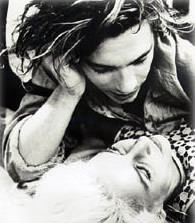 A fictionalised account of the director’s experiences in a shared household during that time, the film follows Lowenstein’s affectionately drawn characters through a chaotic series of non-narrative vignettes, whilst simultaneously tracking the romance between central characters Sammy (Michael Hutchence) and Anna. Indeed, Lowenstein’s films have generally been peopled by characters from the fringes of mainstream society, and consequently sociocultural difference has achieved pride of place in his films. Evictions, Strikebound, Dogs In Space and He Died With A Felafel In His Hand are all rife with the discourse of difference, and the subculturally hybrid Dogs In Space household exudes a particular dissatisfaction with the essentially conservative mores and values of Australian society. On the kind of narrative threads that he has been drawn to, Lowenstein has recently elucidated that he finds “the small, forgotten stories much more interesting than the big mythological ones,” (13) for their ability to speak to the diversity of the Australian cultural experience. Further to this, Lowenstein’s third feature, Say A Little Prayer,would prove to be a very different film altogether. After close to a ten year hiatus between films, Lowenstein’s fourth feature was born of his desire to translate to the screen John Birmingham’s humorous rumination on share household life, the cult novel He Died With A Felafel In His Hand. While the structure and substance of Birmingham’s novel would not easily lend itself to film adaptation, Lowenstein managed to craft a screenplay out of it which incorporated the novel’s most prominent scenes, characters and locations. In Lowenstein’s hands, He Died With A Felafel In His Hand presents an intelligent portrait of the highs and lows of share household life, as it takes a shot at exploring the dynamics of desire and existence, and reflects upon the differing psychologies of Australia’s major cities. In everything from the games of cane toad golf played in the shared house in Brisbane, through to the policemen at the door with twitchy trigger fingers in Melbourne, and the over-inflated egos polishing the floorboards in Sydney, Felafel presents a highly stylised snapshot of the different cultural flavours of Australia’s major cities, which shapes the kind of interactions spawned by those locations in the film. He Died With A Felafel In His Hand also revisits the theme of mid-twenties breakdown (16) which was first broached by Lowenstein in Dogs In Space, as both films set their focus on a group of alienated, over-educated, underemployed youths, struggling together to find meaning and direction in their lives. Whilst narratives relating to mid-twenties breakdown are most closely associated with the Generation X related film and literature that has been emanating out of North America over the last decade, (17) within an Australian context, the characters in these films appear emblematic of the effects that neo-liberalism has had on Australia’s youth over the past twenty years, and through them, it can be argued that Lowenstein has effectively captured the spirit of the time in which they were made. Lowenstein has described He Died With A Felafel In His Hand as the “emotional sequel” (18) to Dogs In Space, and while the focus of these two films on the social phenomenon of share household life would naturally lend itself to comparison, there is a marked stylistic difference between them. In Felafel, the long tracking shots and broad non-narrative structure that were Dogs In Space‘s trademark have made way for tightly framed images, restrained camera movement, a high level of stylisation and a tautly structured plot; culminating in what Lowenstein describes as the film’s “objective, observational style”. (19) In terms of both its subject matter and its mode of delivery, He Died With A Felafel In His Hand conveys the sense that it is a maturation of Dogs In Space. Through such a treatment, Lowenstein delivers to the screen a beautiful, brooding character study, imbued with a sense of muted melodrama, which stands up well against the fine tradition of American independent filmmaking. Upon its release, He Died With A Felafel In His Hand collected Best Director, Best Supporting Actress (Emily Hamilton) and Best Screenplay awards at the New York International Independent Film and Video Festival, the Audience Award at the Rosemount London Australian Film Festival, and nominations for Best Adapted Screenplay at the Film Critics Circle of Australia and AFI Awards. In addition to this, the film has already begun to take on cult status in France and Italy. Italian producer, Domenico Procacci, who was a key figure in the realisation of He Died With A Felafel In His Hand, is set to collaborate with Lowenstein again on his next film, Phreakz, a political thriller that Lowenstein has been developing for some years. In a recent interview, (23) Procacci has described the distinctive, risk taking spirit of Lowenstein’s films, coupled with their unwillingness to be tainted by Hollywood formulas, as their ultimate drawcard for international audiences; a view which has been supported by the continuing success of Lowenstein’s films on the international film festival circuit. Domestically, the risk-taking spirit that Procacci describes has caused Lowenstein to be dubbed “one of the most highly politicised filmmakers we have” in this country, (24) as issues relating to class, social atomisation, and power and authority have proven to be amongst the chief thematic concerns in his work. In his book, Representation, discourse and desire: Contemporary Australian culture and critical theory, Patrick Fuery argues that what lies behind Australian popular culture is a passionate desire to discover, represent and define a uniquely Australian cultural identity. (25) Throughout his filmmaking career, Richard Lowenstein has inventively fulfilled this brief, having consistently created dynamic, engaging films, characterized by their willingness to explore the boundaries of cinematic expression and ability to communicate the cultural zeitgeist, as they take their audiences into the living rooms of working class Australia. Special thanks to Richard Lowenstein and Sally McLennan of Ghost Film Productions for kindly supplying me with copies of Evictions and Strikebound for this profile. Tracks Richard Lowenstein’s passionate, open letter debate with the Australian Film Institute in 1996, regarding the fairness and integrity of their awards program. A web site dedicated to Dogs in Space. A thought provoking paper by David Lowe on the ways in which Australian period films emotionalise the past, with particular reference to Strikebound. The Italian parent company of Fandango Australia, which includes Richard Lowenstein, Domenico Procacci and Rolf de Heer amongst its Directors, and was formed in March 2002. Vanessa Long’s October 2002 interview with Richard Lowenstein. Richard Lowenstein’s production company, Ghost Pictures Pty Ltd. The official web site for He Died With A Felafel In His Hand, which includes Richard Lowenstein’s production diary for the film. 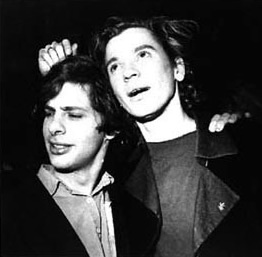 A study of INXS’ music videos by Neala Johnson, which includes an exploration of the lengthy creative relationship between Richard Lowenstein and Michael Hutchence. The official web site for the cult SBS television show, which was produced by Richard Lowenstein. An intriguing profile piece by Jim Schembri on Richard Lowenstein’s near decade long hiatus between the release of Say A Little Prayer and He Died With A Felafel In His Hand. The six part ABC television mini-series, of which Richard Lowenstein directed an episode. Michael Gently’s 2002 interview with Richard Lowenstein. Richard Lowenstein reflects on his time at Swinburne, and reviews a book on the subject. Say A Little Prayer‘s Press Kit. Jasmine Berry’s interview with Richard Lowenstein, in which he discusses his films within the context of the Australian film industry. In his book The Australian National Cinema, Tom O’Regan argued that one of the traditional differences between Australian and American films is that “Australian films place the protagonist as victim not agent of history, whereas American film makes the protagonist drive the narrative and so become an agent of history”. See Tom O’Regan, Australian National Cinema, Routledge, London, 1996, p. 198. In 1984 Strikebound received AFI Award nominations for Best Film, Best Achievement in Cinematography, Best Achievement in Production Design, Best Achievement in Editing, Best Achievement in Sound, Best Achievement in Costume Design, Best Actor in a Lead Role, Best Actress in a Lead Role, and Best Adapted Screenplay. 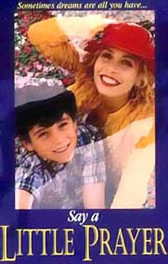 In 1993 Say A Little Prayer received AFI Award nominations for: Best Actress in a Lead Role, Best Actress in a Supporting Role, Best Achievement in Production Design and Best Achievement in Costume Design. See Generation X: Tales for An Accelerated Culture specifically, and the works of Douglas Coupland and Douglas Rushkoff in general. Films in this genre include Reality Bites (Ben Stiller, 1994), Slacker (Richard Linklater, 1991) and SubUrbia (Richard Linklater, 1996). Lowenstein has recently alluded to the fact that Anya’s character in He Died With A Felafel In His Hand is loosely modeled on, and intended as a homage to, the kind of characters played by Anna Karina, Louise Brooks and Maria Falconetti in the films of Godard, Pabst and Dreyer, respectively (See: Lowenstein and Long, 2002). Indeed, if you watch the film carefully, you can spot Danny gazing at photos of these actresses on the wall of his bedroom in each of the share-houses in the film, in what becomes one of its more notable visual tropes. Vanessa Long is a media graduate from Sydney, who has a background in digital video and cultural studies. She currently webmasters the film related web site and discussion group, Film Optimist, and can be contacted at [email protected].